"The Artesans series propels you into a world so deftly written that yousee, feel, touch, and even smell each twist and turn. These nesting novels areevocative, hauntingly real. Smart. Powerful. Compelling. The trilogy teems withfinely drawn characters, heroes and villains, and societies worth knowing; withstories so organic and yet iconic you know you've found another home--in Albia." ~Janet Morris: author of The SacredBand of Stepsons; the Dreamdancerseries; I, the Sun; Outpassage. "I have just loved this entire series. Cas Peace is a masterstoryteller, providing a depth and breadth of information about her worlds andtheir people that is just staggering. Her characters are complex andmultidimensional. Strong world-building and beautiful storytelling. Highlyrecommended! K Sozaeva, Amazon Vine Voice andTop 1000 reviewer. "If you enjoy being whisked away to the realm of fantasy, I stronglysuggest this unique, special read. Hands down, one of the best fantasy series Ihave ever read!" 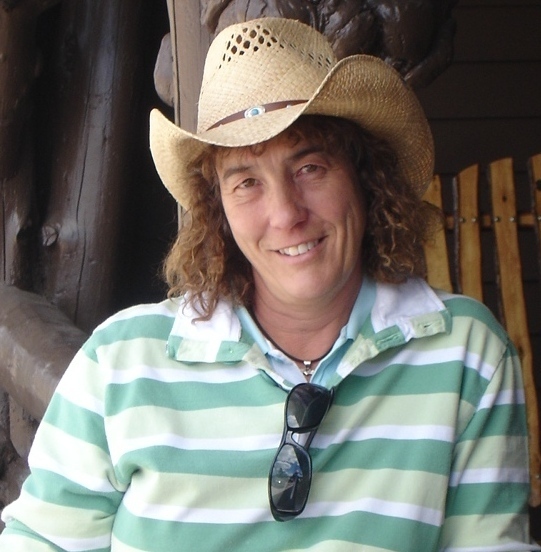 Ashley L Knight: author of Falwynand the Fins trilogy. Cas Peace was born and brought up in the lovely county of Hampshire, in the UK, where she still lives. On leaving school, she trained for two years before qualifying as a teacher of equitation. During this time she also learned to carriage-drive. She spent thirteen years in the British Civil Service before moving to Rome, where she and her husband, Dave, lived for three years. They return whenever they can. As well as her love of horses, Cas is mad about dogs, especially Lurchers. She enjoys dog agility training and currently owns two rescue Lurchers, Milly and Milo. Cas loves country walks, working in stained glass, and folk singing. She is currently working on writing and recording songs for each of her fantasy books. The song associated with King’s Envoy is “The Wheel Will Turn”; for King’s Champion it is “The Ballad of Tallimore”; and for King’s Artesan it is “Morgan’s Song (All That We Are).” For The Challenge it is “Meadowsweet”. All Cas’s book songs can be found at and downloaded from her website, see below. Cas has also written a nonfiction book, “For the Love of Daisy,” which tells the life story of her mischievous and beautiful Dalmatian. Details and other information can be found on her website: www.caspeace.com. This book is an epic (and heroic) fantasy, a genre I like very much. Though I won’t try to compare this book to the masters, it has a depth of history and a magic system that is really strong. I was very impressed and happily surprised. The characters in this book are well written, and have a lot of history, which (besides making for great, deep characters) is required due to all the sub-plotting and conspiratorial stuff that is happening in the back ground. The conflict in the book between characters is also powerful, because of the relationships between them. Honor and Duty are difficult values to adhere to when they come in conflict with love and affection. I think that the characters are very much the strong point of the novel. This may sound a little tired, but I particularly enjoy strong female leads—at least female leads that aren’t stereotypical (or basically male leads with a gender change). Some authors find it difficult to thread that needle after decades of the industry’s familiar male leads and established norms for them. This author has done a good job with Sullyan. But, I also can’t forget to mention her myriad companions—they too have a depth of character that is admirable. All of these characters are enhanced throughout the story by well-written conflict, both small and epic. My only real criticism is that the story started out a little slow for me. Being a big fan of action stories, I often look for a rapid introduction to action and conflict in fantasy novels. This one took a while longer to build than I might have liked. Once it got there—no complaints at all. And, I think much of it may have been necessary to build the backstory for this rich novel. Overall, I thought that this was a good read. I liked the setting, the characters and the overall story. I’m very happy I read it. 5.0 out of 5 starsAn exquisite return to the Artesans! Having been a fan of Cas Peace's first trilogy, I was more than eager for this novel. I wasn't disappointed. The book does start at an easy pace. I certainly didn't mind meeting up with old friends, having been so familiar with them and their prior adventures. Don't let the early chapters deceive you if you're new to the series and crave lots of action and mystery. Peace, as always, delivers on both scores. I'm not one to make heavy speculations or mightily try to unravel the truths sealed in a book's plot. I'm not very good at it, and I usually settle for brief musings. There's something about Peace's story and the way she tells it that sets fires in my mind and makes me want to see if I can make the right discoveries. In this book we finally meet at length Herza Reen, the mysterious Albian Baron, who remained in the shadows until the last chapters of King's Artesan. In a way, you almost wish you hadn't the privilege because he's such a vile, self-righteous individual (and I can think of many things to call him that aren't fit for a public review, because just as Peace is so good at giving us honest-to-life, easy to relate to protagonists, she is equally skilled at giving us realistically slimy antagonists). His scheme with the Staff failed, he implements a second plot which might well be more devastating than the first. Everything erupts into so much chaos, and there is so much unresolved it will be a difficult wait until Autumn-time to see how much of this damage can be repaired. Have thoroughly enjoyed these books - right up my street. Eagerly awaiting the next book in the Trilogy. You will need to read the first Trilogy set to know the characters and understand the story line. “The Challenge” is the first volume in the “Circle of Conspiracy” trilogy and the fourth book in Cas Peace’s sweeping “Artesans of Albia” cycle. Positioned in the middle of this epic, it does a good job of holding its unique place in the notable hierarchy, although it is not a stand-alone novel. This book is on a smaller scale than earlier novels of the series. No sweeping battle scenes and dramatic duels here; much of the conflict takes place in whispered rumour, innuendo and political machinations. The battleground is mostly the human heart. Bribery, envy, and coercion are the order of the day, and the challenge for the heroes is to come out victorious at the end without compromising their virtue or stooping to the depths the villains are happy to inhabit. This author does an excellent job of creating scenes wherein characters are forced or lured into situations that require them to act contrary to their better natures. Clever turns of phrase and false impressions create the sand that causes the cogs of human interaction to grind to a halt. And into the cracks that result, the evil and ambition insinuate their greasy fingers. This book, like others in the series, has a complex plotline involving treachery and intrigue at several levels. It also contains a good helping of fine swordplay and medium-scale military action, all described in exciting detail. I do have one concern about this novel that may or may not bother other readers. I think the heroine is too strong. Oh, certainly she is a well-rounded, empathetic character who makes her share of mistakes, but in general, she is simply held in too high esteem by all the others in the story. This makes it very difficult for the other characters to hold up their part of the story arc. Dissention between positive characters is one of the necessary conflicts in a well-written novel. If one character is too good, then in order for there to be conflict, the other guys have to be idiots. And I like the other characters far too much to want to be told that. Maybe by book four I’ve just been pulled into the story too far and I’m taking sides, but this volume leaves me with some very pressing unanswered questions. 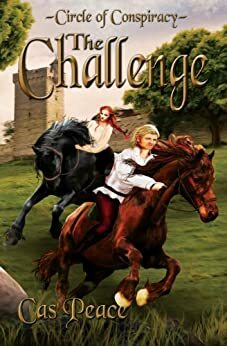 I hope my curiosity will be satisfied in the next book in the series, “The Challenge.” So as not to keep you in suspense too long, I will be reviewing that novel next week. Recommended for Epic Fantasy and Romance readers.